The AGRANA Stärke GmbH is a specialist in processing and adding value to high quality agricultural commodities such as corn, potatoes and wheat to make a wide range of differentiated starch products. Cooperation with customers and the development of tailor-made solutions has enabled the Starch segment of AGRANA to continuously grow and be commercially successful. The company is focusing on producing top quality starch products by employing modern and environmentally sensitive production methods. AGRANA supplies numerous industrial sectors (such as e. g. food, textile, paper and paper processing industry) with organic and GMO-free starches and specialty starch products and produces also bioethanol for use as an environmentally friendly fuel. 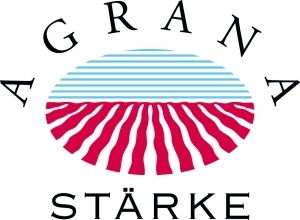 AGRANA Stärke GmbH oversees the Austrian starch business and coordinates the activities of the subsidiaries and holding companies of the Starch segment in Hungary and Romania. The Starch segment includes a total of five production facilities (three in Austria, one in Hungary and one in Romania). The company is part of the AGRANA Beteiligungs-AG, an Austrian holding company active in the sugar, starch and fruit industry with its head offices in Vienna. AGRANA´s main contribution to the SUSFERT project will be the leading part for the erection of the demonstration plant fermenter within the area of the bioethanol plant, which includes all technical calculations. Once the plant is implemented, demo scale production of a special additive will start. The organic fertilizer BioAgenasol® will be combined with this special additive for a novel fertilizer with added functionality for iron-deficient soils. AGRANA then tests this fertiliser and is going to work out the economic sustainability of the developed fertiliser. Follow AGRANA Stärke on social media!